Muddy says: a cracking medieval building which is a mix of traditional vibes but with a quirky edge. It comes complete with a pretty courtyard (perfect to enjoy wine in the sun) and a smashing breakfast. We’ve stayed countless times! The Old House was once the home of a Merchant during medieval times; today it offers a boutique experience in a traditionally classic yet quirky home. There’s a choice of five luxurious en-suite bedrooms which all come complete with superbly comfy beds, Bramley organic toiletries, Hildon English bottled water, free wifi and TV, DVD and Radio; and not forgetting the wine glasses and corkscrew (we’ve stayed a number of times and have made good use of the corkscrew)! Although space is tight in Higham Ferrers, the Old House even has a pretty courtyard garden, and with its location in the heart of the town it is easy to have a wander around the little shops and various hostileries. After enjoying your stay in the cosy rooms, you can take in a classic English breakfast whilst reading the paper/iPad/Vogue. The owners, Simon and William, are super friendly and nothing is too much trouble, plus it’s centrally located for Northampton, Wellingborough, Cambridge, Peterborough, Kettering and Milton Keynes. There is easy access to the Old House by train or car so there’s no need to worry about a stressful journey, and the prices of the rooms range between a very reasonable £65 to £85 per night. 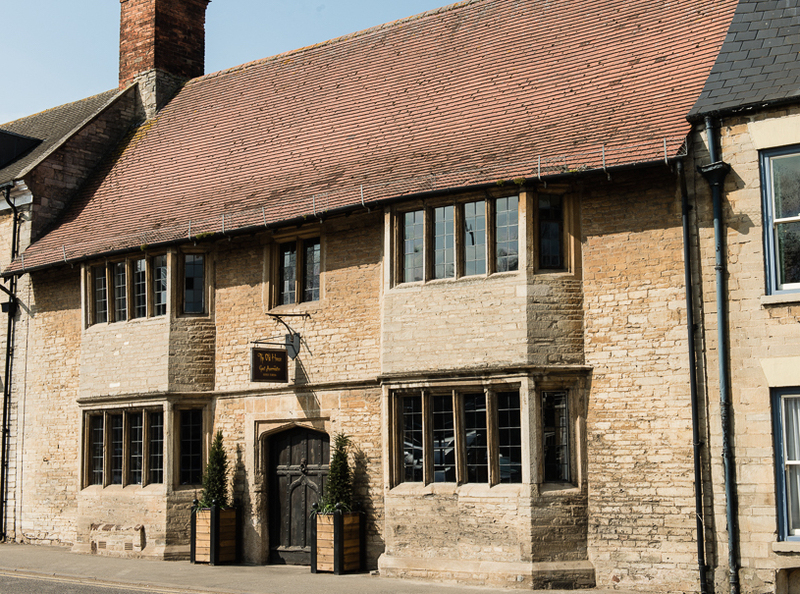 We can’t think of any reason you won’t enjoy The Old House, a huge asset to the Northants hospitality scene!